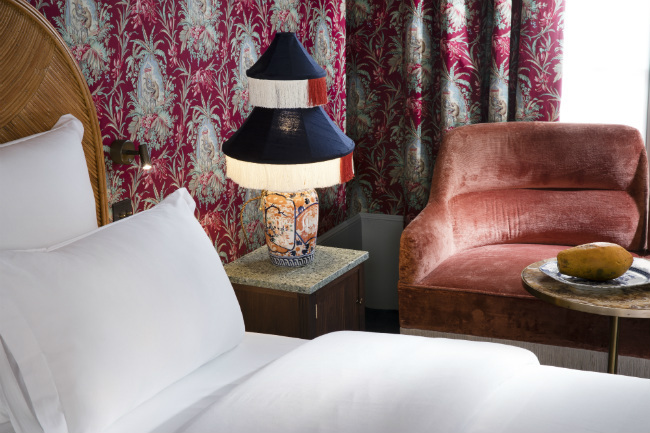 With many Parisian hotels already celebrating France’s literary greats, it seems almost inevitable that Alexandre Dumas would one day have his turn. 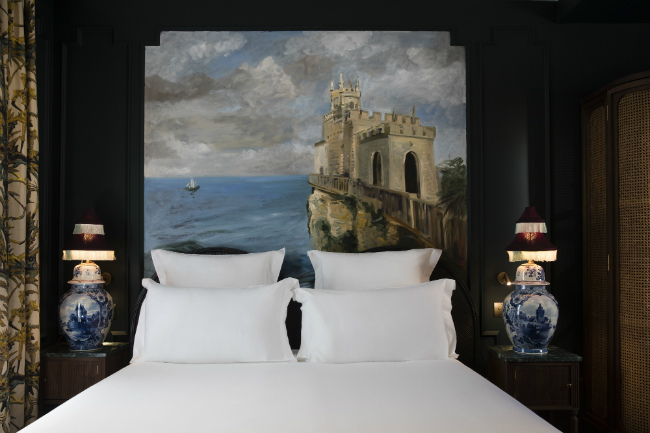 The second opening from independent group Les Hoteliers Impertinents, the Hotel Monte Cristo takes both its name and inspiration from Dumas’s eponymous hero, as well as Dumas’s own Caribbean ancestry. 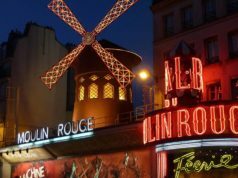 The hotel is located in the 5th arrondissement, not far from the Jardin des Plantes and the famous Gobelins tapestry factory. 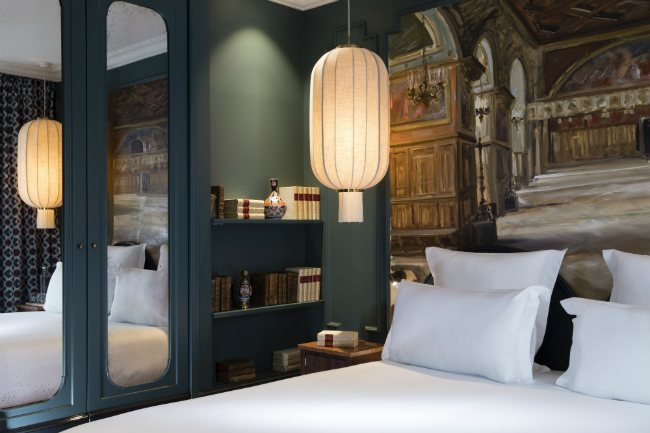 The hotel’s 50 rooms, 3 suites and 4 boudoir rooms have been lavishly decorated with Oriental patterns, lacquered chinoiserie, sumptuous velvets, and scenes of far-away lands, with bespoke earthenware tiles, terrazzo, and gold trimmings in the bathrooms ensuring a luxurious bathing experience. 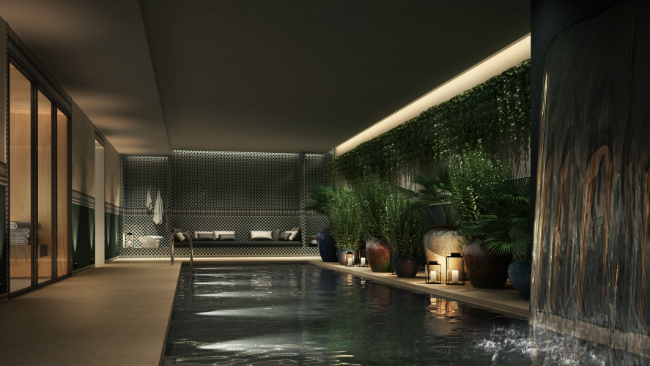 The 15m private pool and sauna hidden away downstairs also evokes the feel of the Orient with its zellij-tiled walls, exotic plants, and rattan chairs encouraging you to lounge and relax. 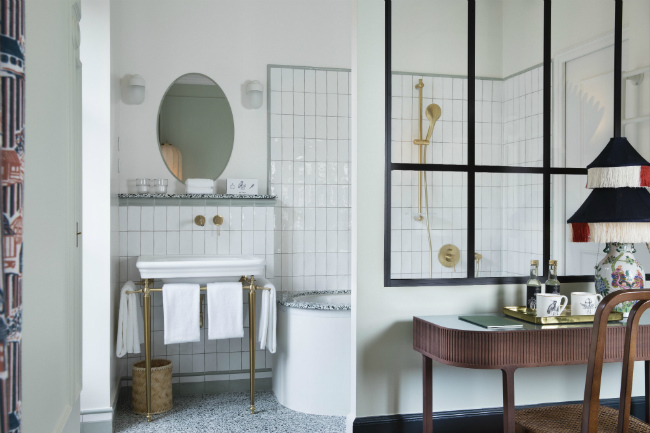 Nearly everything you see has been made-to-measure, from limited edition fabrics to specially commissioned furniture, with the hotel calling upon some of France’s most talented artisans for the project. Following their success with sister property C.O.Q Hotel, Pauline d’Hoop and Delphine Sauvaget have once again taken charge of the interiors, the glittering gold leaf window signs and the hotel’s own monogram are the work of Coralie Cintrat from creative studio Atelier Deux Cé, while artist Christo Debusschere is the talent behind the exclusive collection of period-style portraits which hang throughout the hotel. 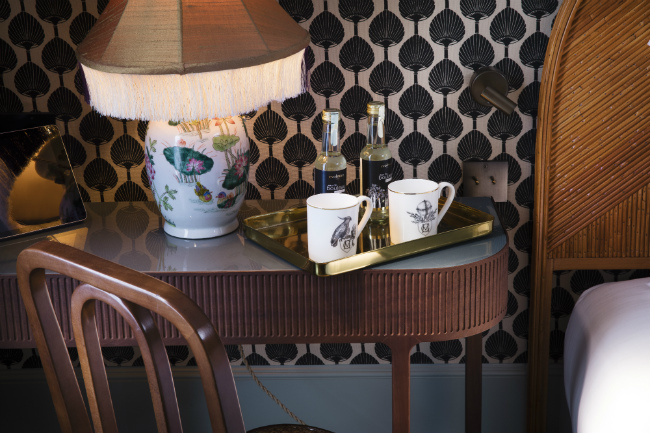 To add an authentic touch to Hotel Monte Cristo’s 19th century charm, over 200 antique items have also been carefully sourced and placed throughout the rooms and public spaces, ranging from the aged bedroom mirrors to the collection of exotic birds which welcome you upon entry. Although the hotel doesn’t have a restaurant, putting all effort instead into the RHUM salon has paid off. A tribute to Dumas’s ancestors, who were rum producers in Santo Domingo, the salon boasts a large collection of specialty and flavored rums, including vintages that have been made exclusively for the hotel. 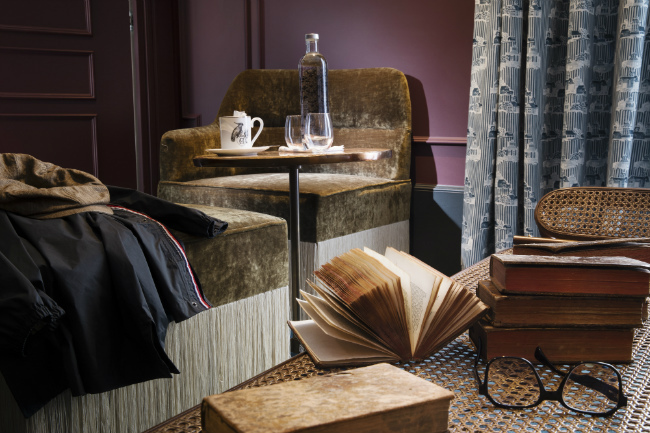 The salon’s own “cellar master” and head bartender are passionate about the drink, and available to talk guests through the special selected bottles as well as mix up carefully crafted cocktails to your own personal tastes. With an extension of the bar also due to open in September, located in the property opposite, the hotel and salon both look set to be the new destination point in the city for rum lovers, cocktail drinkers, and those looking to escape Paris to an exotic land, even if just for the night. Hotel Monte Cristo, 20-22 rue Pascal, 75005. Tel: +33 (0)1 40 09 09 09. 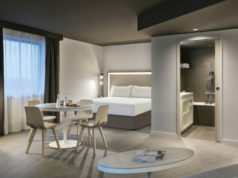 Rooms from 132 euros/night.